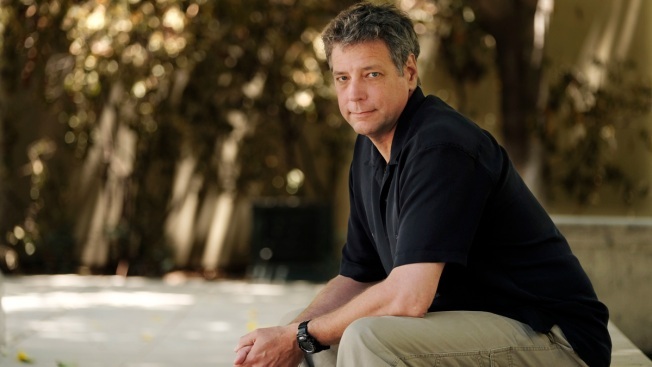 In this June 20, 2018, file photo, Michael Scott Moore, author of "The Desert and the Sea: 977 Days Captive on the Somali Pirate Coast," poses for a portrait at Los Angeles Public Library in Los Angeles. Abdi Yusuf Hassan, a U.S. citizen who has been charged with kidnapping and other counts for his alleged role in the abduction of Moore. He was held for nearly three years before his family paid a ransom for his release. A U.S. citizen has been charged with kidnapping and other counts for his alleged role in the abduction of a freelance journalist who was held hostage in Somalia for nearly three years, according to federal charging documents unsealed Thursday in New York. According to a criminal complaint, Abdi Yusuf Hassan was part of a conspiracy to kidnap the journalist in January 2012 in Galkayo, Somalia, and demand $20 million in ransom. The journalist was released Sept. 23, 2014. While the journalist is not named in the complaint or in a superseding indictment, the dates of his capture and release, and several details outlined in the court documents, match the experiences of author Michael Scott Moore, a German-American who was abducted by pirates in Somalia while he was there writing a book about piracy. Moore's publicist said he was unreachable for an interview Thursday. In November, Moore confirmed to the New York Times that another man indicted in the case, Mohamed Tahlil Mohamed, was one of his captors. Mohamed and Hassan are listed as co-defendants. According to court documents, Hassan, 51, was born in Mogadishu and is a naturalized U.S. citizen. He faces six counts, including kidnapping conspiracy, hostage-taking conspiracy and unlawful use of firearms. 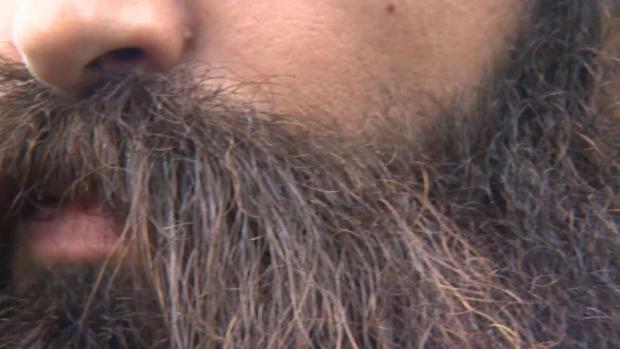 He was arrested in Minneapolis on Friday and will be returned to New York to face charges. It was not immediately clear if he had an attorney in New York to comment on his behalf. The charging documents say the journalist was in a vehicle on Jan. 21, 2012, in the vicinity of Galkayo when he was surrounded by a group of heavily armed men carrying what appeared to be AK-47 assault rifles and a rocket-propelled grenade launcher. He was abducted and struck with weapons, injuring his head and wrist. He was taken to different areas in Somalia, and at one point was held in a vessel off the Somali coast. He told investigators that he and another hostage were typically guarded by about 10 men, all armed with assault rifles or belt-fed machine guns. In December 2013, he was moved to a residence near Galkayo, which was frequently visited by Hassan, the complaint says. The complaint says Hassan spoke English and was a translator for the hostage takers; the journalist, who identified Hassan from a lineup, said he also appeared to hold a leadership position over the other guards. Multiple times during the journalist's captivity, Hassan ordered him to call a family member to try to demand more money for ransom. During one call on Jan. 30, 2012, the journalist told a family member that his captors were demanding $20 million "and that if they did not receive the money within 24 hours, they would stop providing food and water to Victim-1," the complaint said. In another call in May 2012, the journalist said things had "gotten very serious" and another hostage had been tortured in front of him. The journalist said there was a real threat that if the ransom didn't come through, he would be sold to al-Shabab. In May 2012, the pirates released a video, showing the journalist in an undisclosed location with a prayer shawl over his head, surrounded by masked kidnappers who pointed a machine gun and rocket-propelled grenade at him. The journalist was released in September 2014. Moore has said his family raised $1.6 million for his release. According to the complaint, Hassan entered the U.S. in New York on Sept. 15, 2015, and was interviewed by U.S. Customs and Border Protection. He allegedly said he worked as the Minister of the Interior and Security for Galmudug State in Somalia, which includes Galkayo, and his job included arranging for the release of kidnapped people, including the journalist.